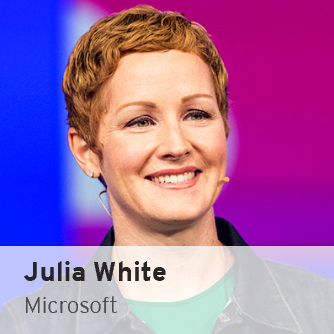 Microsoft Corporate VP Julia White will be speaking at the Women’s Luncheon & giving the closing keynote at the Red Hat Summit! Julia White has been working on commercial software and cloud services long before it was cool. Now focused on the Microsoft Cloud with special attention on Azure, enterprise security, and IT management, White makes sure the cloud is a place all organizations can trust to run their business.